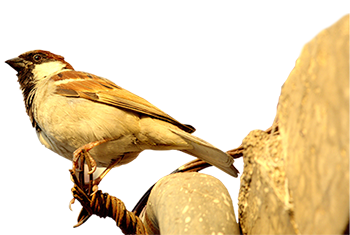 The diminutive house sparrow (Passer domesticus) is perhaps one of the earliest birds you can remember from your childhood. Their nests dotted almost every house in the neighbourhood as well as public places like bus bays and railway stations, where they lived in colonies and survived on food grains and tiny worms. 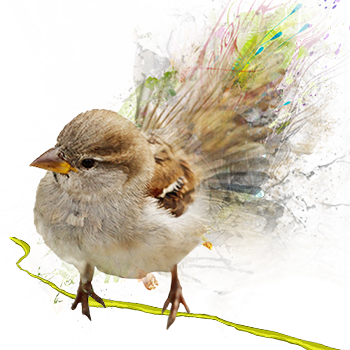 Many bird watchers and ornithologists recall with fondness how the house sparrow gave flight to their passion for observing birds. The association between humans and the house sparrow dates back to several centuries and no other bird has been associated with humans on a daily basis like the house sparrow. It is a bird that evokes fond memories and has thus found mention in folklore and songs from time immemorial. Unfortunately, the house sparrow is now a disappearing species. But like all other plants and animals which were once abundant and are now facing an uncertain future, their numbers are also declining across their natural range. The reasons? Certainly, there is no one single reason for the decline of house sparrow. Its slow but noticeable disappearance has been labeled as one of the biggest mysteries of recent times. A leading newspaper in the United Kingdom - a country that has witnessed one of the biggest declines of the house sparrow population in recent times - declared a cash prize to anyone who could solve the mystery. Needless to add, the reward lies unclaimed. The house sparrow is believed to be declining for various reasons ranging from the destruction of its habitat to lack of insect food for the young and even the increasing microwave pollution from mobile phone towers. (Please read “reasons of house sparrow decline” for more information).